Please see information below with news of the passing of RNPA member retired Northwest pilot Captain Harry Lee Camm, age 94. Captain Camm joined Northwest Airlines 02-17-1948. He is survived by his wife Betty, their children plus grand- and great grandchildren. 1101 Ohio St., Saint Paul MN 55118-1228. 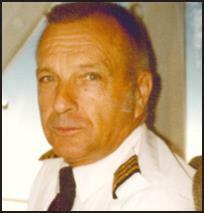 NWA pilot Harry Camm has passed away. His obituary is in the May 8, 2018 St. Paul Pioneer Press. Harry was hired by NWA on Feb. 17, 1948 as a mechanic. He rose to be a Master Mechanic, Foreman, and Flight Engineer before qualifying as a pilot.